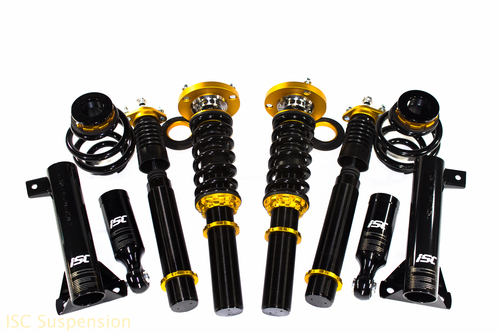 The ISC N1 coilover is the optimum suspension tool for improved handling for your street or weekend track car. This product is perfect for someone looking for performance, adjustability (height and dampening) and other quality features. Our self-manufactured ISC N1 allows us to have top grade quality control, and innovative R&D capabilities due to our in house/ self-made company dynamic. ISC has been present for over 12 years in Asia and Australia, which accomplished drift, road course, street enthusiasts and podiums alike. Over a decade of experience and feedback has allowed the ISC N1 to evolve into what it is today. For more information on the ISC Suspension N1 Coilovers, give ModBargains a call at 714-582-3330 today!